In January 2007, he moved on to become part of the eldership team at New Life Christian Centre International, Wembley, under Pastor Ian Christenson. There he had oversight of the administration of the church, the Children and Youth Ministries, and the curriculum development and administration of the New Life Bible School, part of the ministry of NLCCi. He regularly taught at the Sunday services and in the Bible School. At NLCCi he developed a great insight into the importance of prayer and fasting. Winston has led several home and foreign mission teams and has preached nationally and internationally. His burden is to see the development of effective apostolic teams that build strong autonomous churches, which in turn equip believers for their God-given ministry in building up the body of Christ and extending the Kingdom of God throughout the earth. Winston is a well-respected, sought after prophetic Bible teacher, challenging the body of Christ to committed discipleship and living an overcoming life in Christ through the power of the Holy Spirit. He has been married to Laureen for 31 years; they have 6 adult children and 5 grandchildren. Winston was converted to Christ in 1975. 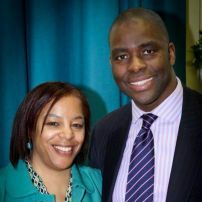 He quickly became actively involved in the Children and Youth Ministry within his local church in south west London. He has pastored 3 different churches in south west London between 1983 and 1996, before being called to the leadership team at New Life Bible Church, Wealdstone, under Pastor Rick Johnston, where he developed a deep understanding of the principles for building effective churches.